MARY POPPINS — The colorful world of "Mary Poppins" comes to life at Northwest Children's Theatre and School, 1819 N.W. Everett St., complete with rousing tap numbers, flying actors and the beloved songs from the classic film. Showtimes are Saturday and Sunday noon and 4:30 p.m. Jan. 5-6. A noon show will be held onn Jan. 6. For more information on tickets and show times, visit nwcts.org or call the box office at 503-222-2190. MUSICAL STAGES — Performing Arts Youth Academy presents "Les Miserables," Jan. 4-6, Jan. 11-13, and Jan. 18-20, Friday and Saturday 7 p.m., Sunday 2 p.m., HART Theatre, 185 S.E. Washington St., Hillsboro. Epic, grand and uplifting, Les Misérables School Edition packs an emotional wallop. Exceptional vocal talent. A Not to Miss production! Tickets cost $13 and up. Visit stagesyouth.org for more information. DOUBT — Mask & Mirror Community Theatre presents "Doubt, a Parable," Jan. 18-20, and Jan. 25-27, Friday and Saturday, 7:30 p.m., Sunday 2:30 p.m., Tualatin Heritage Center, 8700 S.W. Sweek Drive, Tualatin. A drama of suspicion and innuendo by John Patrick Shanley. In this brilliant and powerful drama, Sister Aloysius, a Bronx parochial school principal, takes matters into her own hands when she suspects the young Father Flynn of improper relations with one of the male students. It is a gripping story of suspicion cast on a priest's behavior that is less about scandal than about fascinatingly nuanced questions of moral certainty. $10. Visit maskandmirror.com for more information. OPERA — Portland Community College Rock Creek Department of Music Experience Music Series presents singers Angela Niederloh and Matt Hayman, Jan. 22, 7:30 p.m., PCC Rock Creek, 17705 N.W. Springville Road, Building 3, Room 114. Portland favorites Angela Niederloh, mezzo-soprano, and Matt Hayward, baritone, will present stunning classics from opera and solo and duet repertoire. Parking is $2 (permits available at machines). Donations welcome. For more information, visit pcc.edu/programs/music/rock-creek. GUITAR SOUNDS — Portland Community College Rock Creek Department of Music Experience Music Series presents guitar virtuoso Doug Smith, Jan. 15, 7:30 p.m., PCC Rock Creek, 17705 N.W. Springville Road, Building 3, Room 114. Come hear acoustic artistry at its finest. Grammy-winning acoustic guitarist Doug Smith will play his unique arrangements of Americana from his most recent CD. The concert will be held in the Forum, Building 3, at the PCC Rock Creek Campus, 17705 NW Springville Road, Portland. Parking is $2 (permits available at machines). Donations welcome. For more information, visit pcc.edu/programs/music/rock-creek. CONCERT — S & A Irish Entertainment presents Nancy Curtin with Cal Scott, Eddie Parente and Dave Captein in concert, Jan. 12, 7:30 p.m., Winona Grange, 8340 S.W. Seneca St., Tualatin. Doors open at 6:45 p.m. Vocalist Nancy Curtin had a long career as a singer of Irish and Scottish music. She then decided to delve into the music of Brazil, a country known for its many styles and rhythms. In the words of one reviewer, "Nancys beautiful voice is not to be missed. Check her out live at your earliest opportunity". For this concert, Nancy is joined by three luminaries of the folk and jazz music scene: Guitarist/vocalist Cal Scott is well-known for his energetic and heartfelt performances; virtuoso Eddie Parente is at home on the fiddle (folk and Irish music) and violin (jazz); Dave Captein, one of the Northwests premier jazz bassists, is equally adept in other musical styles. Drawing on the varied background of all the musicians, the concert will include several Brazilian gems, American and Irish folk songs, and originals by Eddie and Cal! Tickets cost $18 and up. For more information, visit brownpapertickets.com/event/3738753. PRINTS — "P.A.N. Portfolio" is on view until Jan. 25. The display exemplifies the astonishing range of creative inventiveness among Pacific Northwest printmaking artists. Glenn & Viola Walters Cultural Arts Center at 527 E. Main St., Hillsboro. Free admission. The exhibition brings the work of 42 artist-members of PAN together into a single cohesive collection. The visual themes, color, form, line, and shape transcend similarities and differences across a variety of printmaking methods. The collection is reminiscent of the Pacific Northwest itself: dramatically diverse in geography and culture and yet an indivisible whole. ART RECEPTION — Sequoia Gallery + Studios hosts an all-members show and reception on Jan. 8, 5 p.m., 3131 N.W. 128th Place, Hillsboro. Our All Member Show continues with work by 33 member artists. Join us on January 8th to meet the artists and celebrate Sequoia's 11th Anniversary. sequoiagallerystudios.org, 503-693-0401. ORIGAMI CRAFT DAY — Beaverton City Library presents Community Crafting for Adults: Space-themed Origami with Yuki Martin, Jan. 14, 6 p.m., Beaverton City Library Main, 12375 S.W. Fifth St., Beaverton. Did you know that the concept of origami has been used by astronauts in space to create solar arrays that generate power for the International Space Station? These origami-inspired solar arrays are compactly folded at the time of launch, and then expanded to cover a large area once in space. Origami artist Yuki Martin will demonstrate a variety of collapsible folding methods used in space and teach participants to fold using one of these methods. She will also teach fun space-inspired origami, like an alien and a star. Free. Visit beavertonlibrary.org or call 503-644-2197 for more information. Recommended for ages 18 and older. RIVERS — Forest Grove City Library hosts "Celebrating Oregon's Wild and Scenic Rivers," Jan. 8, 6:30 p.m., Forest Grove City Library, 2114 Pacific Ave., Forest Grove. Join river guide Zach Collier and hear about the highs, the lows, and the flows from his adventures on Oregon's high desert rivers. Zach is co-founder of the Northwest Rafting Company and has lobbied Congress to protect rivers and wilderness. Free. 503-992-3248. BOOKS BABIES STORYTIME — Each Wednesday, meet for stories, songs, rhymes and finger-plays with volunteer Lauren for babies up to 12 months. Come meet other families with little ones and introduce baby to early literacy activities. 10 a.m. For information, call 503-647-5051. 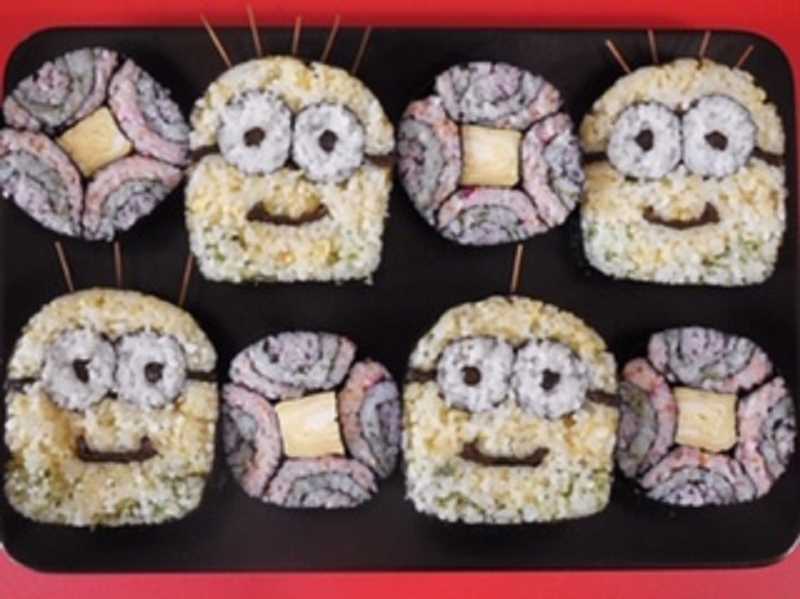 MAKING SUSHI — The latest presentation in the North Plains Public Library's Culinary Literacy Series is titled Japanese Culinary Literacy, Making Sushi with Chef Maki. Not only will Sushi Chef Maki demonstrate how to make a sushi roll but will teach how to create beautiful artistic sushi, as well. Attendees will be treated to sampling of the sushi as well as a delicious tofu miso soup made by library volunteer, Emi Graham. Join on Saturday, Jan. 12, from 1 to 3 p.m. for this Culinary Literacy event! This library event will be at the North Plains Senior Center, 31450 N.W. Commercial St., North Plains. Admission is free but a reservation is required for this event. Please call the North Plains Public Library to reserve your spot at 503-647-5051.